If you need to freshen up your beauty routine, the answer may be waiting right in your kitchen. 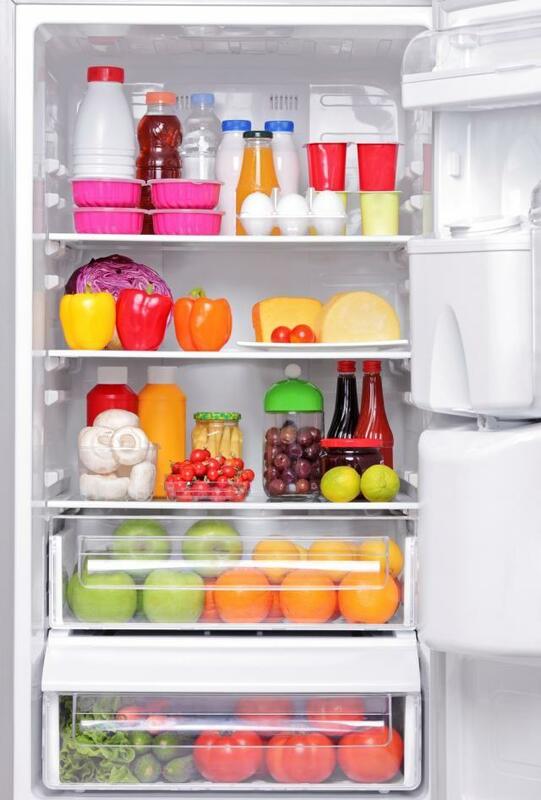 Many of the contents of our refrigerators are promising starts to a whole new skin care regime. Before you make your next fruit salad, take note of these skin refreshers! Aloe vera has long been used as a natural anti-inflammatory and to effectively reduce pain and peeling of sunburned skin. If you have aloe juice, add to a spray bottle and refresh you skin, says Rianna Loving, esthetician, natural skincare expert and founder of Orgo Beauty. Or add a piece of the plant to a bottle with filtered water and create you own infusion in a spray bottle. Papaya’s enzymes act as an exfoliant, by removing dead skin cells and breaking down inactive proteins, says Dr. Jennifer Lee, M.D., of REN Dermatology in Franklin, Tennessee. Papaya can also help even out skin discoloration. Use a mashed papaya as a mild peel. Hint: For an even more effective exfoliant, activate the enzymes with steam. Blueberries have high levels of vitamins C, B, A and E and are a superfood with the antioxidant anthocyanin, which help neutralize free radicals. With this powerful combination, blueberries are a beneficial anti-aging ingredient for skin, says Loving. Add sliced berries to water or aloe juice and create a refresher spray or add to yogurt to create a calming mask. Pomegranate are helpful for oily skin and acne, while the seeds are great exfoliators when ground up and put in masques and scrubs. One pomegranate can supply 40 percent of our daily requirement of vitamin C. “Pomegranates contain acids that are great for preventing the breakdown of collagen fibers, while pomegranate seed oil speeds skin cell turnover and strengthens the skin,” says skin care expert Celeste Hilling of Skin Authority. Bananas contain vitamins A, B, C, and E, and also have minerals like potassium, zinc, iron, and manganese, making them a natural moisturizer for your skin. The vitamin C in bananas also contributes to a healthy and youthful glow of the skin, says Dr. Lee. Mix mashed-up bananas with honey and/or yogurt to make a mask that is perfect for post-sun skin care, or a tired and dull complexion. Avocados contain the good kind of fat, as well as more than 25 vital nutrients. Vitamins, such as the vitamin A found in avocados, cleanse the skin of dead skin cells and help protect against harmful environmental factors, Dr. Lee says. They also contain antioxidants that reduce toxins and help reduce the appearance of wrinkles. For softer, younger-looking, more hydrated skin, try making a mask by mashing up avocado with honey and lemon. Pumpkin is rich in vitamins A and C, as well as in zinc, which helps to exfoliate and soften your skin. The enzymes in the pulp can be used as a light peel. Naturally hydrating and moisturizing to the skin, making them a great home remedy for sunburn by cooling and reducing the itching and inflammation. Cucumbers are also powerful antioxidants that help build collagen and elastin, and protect skin cells from the damaging effects of the sun, says Loving. You can also create a hydrating mask by applying refrigerated, thinly sliced cucumbers to the entire face and eyes. Leave on for 10-15 minutes after the moisture is absorbed into the face. Caffeine is great for reducing cellulite and improving circulation, plus reducing swelling, says Loving. Add ground coffee as an eye treatment by creating a paste and apply it under eyes for three minutes and rinsing off. Or you can combine with sugar and coconut oil or olive oil to make an exfoliating body scrub. Apply this in your shower and rinse off. Both of these items absorb oil and odor and can be used as a dry shampoo to refresh hair by sprinkling a tiny amount close to you scalp, turning head over, and fluffing the powder out. Probiotics are currently being studied for their affects on acne. The lactic acid also acts as a mild exfoliating agent and is calming to the skin. Add a squeeze of lemon for extra exfoliation similar to a mild peel, says Allison Santhouse of Manhattan Center for Dermatology. Brew fresh green tea leaves, soak washcloths in the brewed tea and place in the freezer for 20 minutes. Green tea has anti inflammatory affects and anti-aging affects to combat photo aging, says Santhouse. Mix sea salt, raw honey and egg whites for a soothing body scrub.